The customer survey results produce some very interesting data relating to irons and custom fitting. I believe the data and the results above prove how I can help many of you improve your golf game in 2015. 25% of people reported their clubs are over 5 years old! Grant increased his average distance by 13 yards and increased his accuracy by being custom fitted and embracing new technology. How much could you gain? 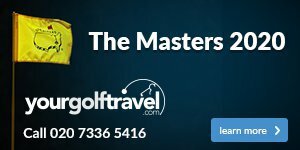 Are you one of the 56% of people who are not using custom fitted clubs? 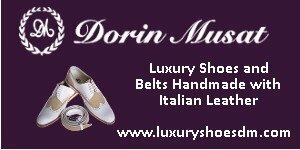 Click here to book a custom fit. Have your irons been customed fitted? Did you buy irons 'off the rack' like Denis? If yes, the results below will make interesting reading. We started Denis Nixon's custom fit session by recording shots with his old 7-iron (Please see the first screen shot below). 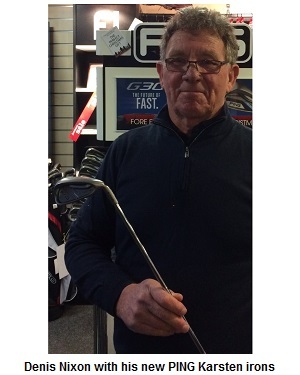 Denis averaged 139.5 yards with his 7-iron. The most notable factor of Denis' shots was the launch angle - Denis' average launch angle was 14.7 degrees. The recognised optical launch angle with a 7-iron with an 80 mph swing speed is 17 to 19 degrees. After trying several options in head and shaft the best performing combination was the PING Karsten. We were able to increase Denis' launch angle to 17.0 degrees, a huge increase of 2.3 degrees. This resulted in a 10 yard increase in total distance for Denis (Please see the second screen shot below). However, extra distance is only of benefit with increased accuracy, which we were also able to achieve this for Denis. We reduced Denis' spin axis from 4.5 degrees down to 2.5 degrees, a decrease of 80% (Spin Axis is the measurement FlightScope uses to measure the accuracy/'straightness' of a golf shot). Grant Gander recently took advantage of our Custom Fitting facilities. He was custom fitted for the new TaylorMade RSi irons on FlightScope. 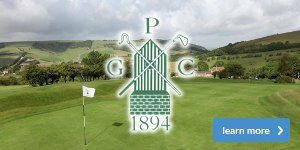 I would like to share his FlightScope data with you to illustrate the benefits that new products and/or custom fitted clubs can have on your game. Grant was using a set of TaylorMade RBZ irons which were three years old at the time of fitting. However, you will see from the results below that technology has already moved forward during this time! Grant's custom fitting was started by recording data from his current 7-iron, following several shots his average total distance was 142.4 yards. Grant was then measured to find the correct length and lie of clubs for him. Following this several shafts options were then tested, Grant's launch angle (trajectory) from his current iron was too low but this was increased by recommending a different shaft. By the end of the custom fit session we increased his launch angle by 2 degrees. As a result of the custom fit and by the increased forgiveness from the technology, we increased Grant's average distance to 156.7 yards, an increase of 13.3 yards (7-iron v 7-iron!) Not only did we increase the distance Grant hit the golf ball but we also increased the accuracy. 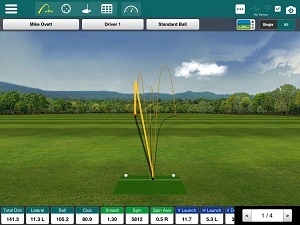 Grant's spin axis averaged 6.3 degrees from his original shots, following the custom fit process we reduced this to 1.0 - a huge improvement of 5.3 degrees (Spin Axis measures the angle of deviation off horizontal at which the ball leaves the clubface, this controls how straight the golf ball flies).